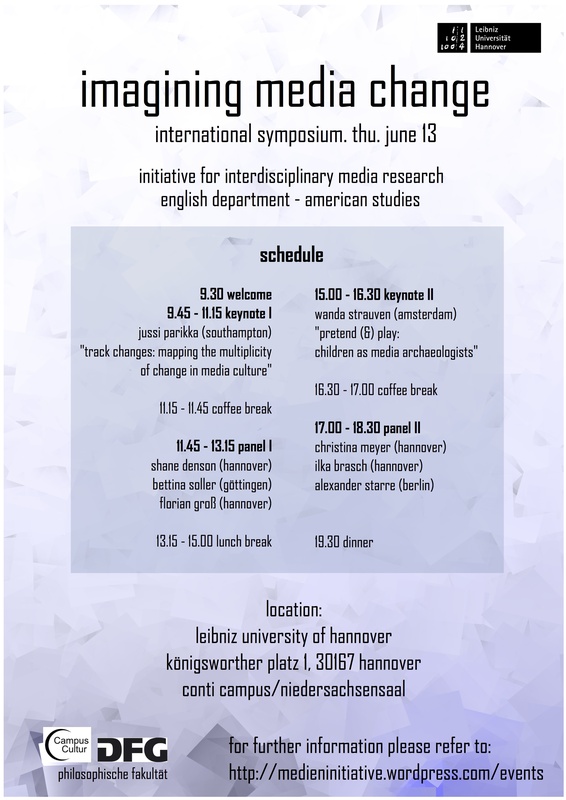 On June 17, 2013, I will be presenting a paper at the conference “Conditions of Mediation: Phenomenological Approaches to Media, Technology and Communication” at Birkbeck, University of London. There’s a diverse and interesting group of keynote speakers, including David Berry, Nick Couldry, Graham Harman, Shaun Moores, Lisa Parks, and Paddy Scannell, and a list of other presenters — among whom I am proud to be counted — has also gone online now. Walter Benjamin famously argued that the emergence of modern media of technical reproducibility (photography, film) corresponded to sweeping changes in the organization of what he calls the “medium” of sense perception. To a skeptic like film scholar David Bordwell, Benjamin’s “modernity thesis” (along with Tom Gunning’s related arguments about the “culture of shock”) is pure hyperbole, for cognitive structures are subject to the slow processes of biological evolution while impervious to rapid technological change. The debate has tended to reach impasses over questions of the causal agencies and effects of media change—e.g. whether they concern the broad cultural domain of discourse and signification or the “hard-wiring” of the brain itself. 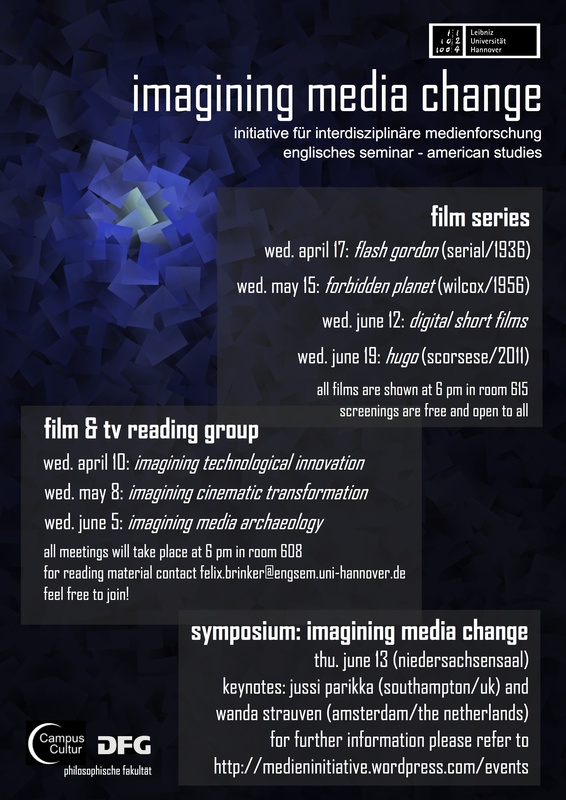 In this presentation, I argue that a “techno-phenomenological” approach—which (following cues from Heidegger, Merleau-Ponty, and Don Ihde, among others) focuses on the embodied interfaces in which human intentionalities are variously mediated by technologies—enables us to see media change as involving experiential transformations that are at once robustly material, and hence not restricted to cultural or psycho-semiotic domains, while still compatible with the long durations of biological evolution. An “anthropotechnical interface,” based in proprioceptive and visceral sensibilities, will be shown to constitute the primary site of media change. 2) Thomas Elsaesser and Malte Hagener, “Conclusion: digital cinema — the body and the senses refigured?”, in: _Film Theory: An Introduction through the Senses_. New York and London: Routledge, 2010. 170-187.